Time commitment: 1-2 hours a month. After the initial meeting the lawyer much of the work can be done offsite and at a time convenient to you. This entry was posted in SC Bar Pro Bono Program on 30 August 2018 by Pam Robinson. walk, run, or stand around! 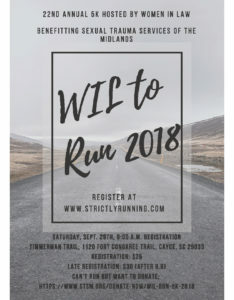 The 22nd Annual WIL to Run 5K is set for the morning of September 29. Register today to walk or run but if you just want to volunteer, your help is needed. You have the skills to do this! Hand out water or stand on a street corner and direct runners! Cheerleading welcomed! Photos, boxes, paint and more photos! 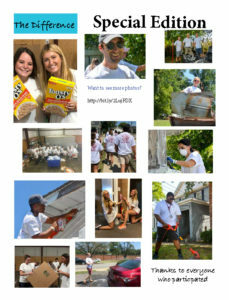 Enjoy the excitement of the 10th Incoming Law Student Community Service Project again! 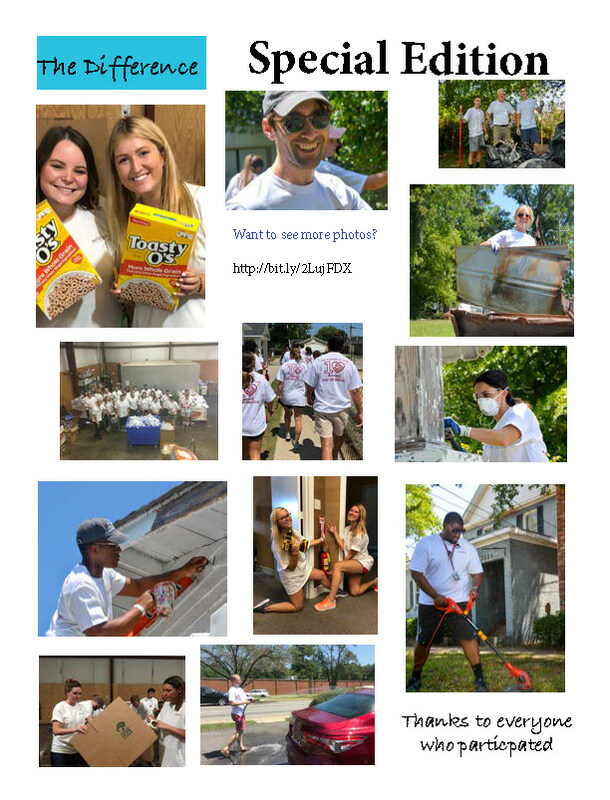 This entry was posted in Incoming Student Community Service Project on 27 August 2018 by Pam Robinson. Volunteers needed for the CASA Walk and beyond!!! Richland County CASA (Court Appointed Special Advocates) provides and represents Guardians ad Litem for abused and neglected children when their cases go to court. The Guardians are the voice of the abused children in the court room. We have had more abused and neglected kids enter the system than ever before, and we desperately need more volunteers to advocate for these children. 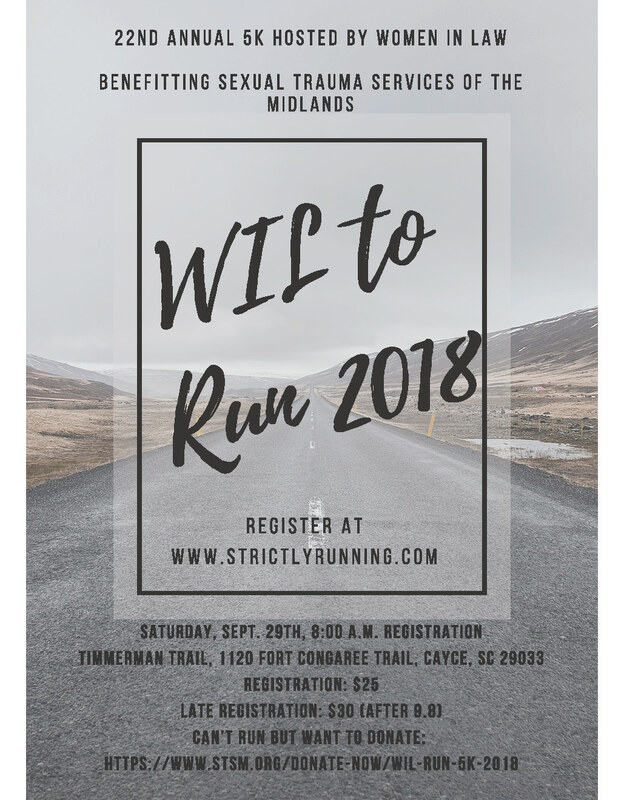 Please come out September 29th at Saluda Shoals Park and enjoy a family fun event and learn how you can become a superhero for abused children. If you have questions, please email Clare Kelly at kellyce2@email.sc.edu. Thanks so much! This entry was posted in Richland County CASA on 23 August 2018 by Pam Robinson. August edition of The Difference! This entry was posted in The Difference on 21 August 2018 by Pam Robinson.